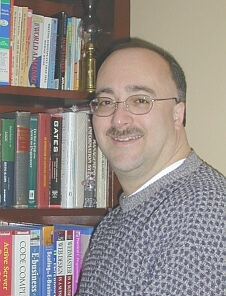 My name is Vince Belletti, and welcome to my web site, VinceTutor.com! Although my approach is individualized, and tailored to the needs and personality of the student, my commitment is the same. I am committed to seeing the student achieve measurable results over time, no matter his or her background or proficiency level. It is my sincere belief that every student has the capability to understand mathematics at some level beyond what they think is possible. I see it as my job to help each student succeed in progressing beyond their individual barriers and achieve their goals. Website by: BacaNet.com Copyright © 2003-2012, VinceTutor.com. All Rights Reserved.